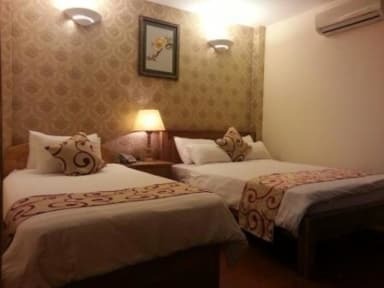 - Luan Vu hotel located in the heart of the Back Packer area, 5 minutes walk to Ben Thanh Market, Tour booking, Shops, Bank, Park etc all within walking distance. - We serve breakfast ( jam or eggs), tea, coffee, lemonade... and wifi high speed internet at lounge and room. - Reception staff warmly welcome guests like family and will give you advice anything you want to know about Vietnam. Staff were great, very accommodating and very friendly. First of all, this is a hotel, not a hostel. There's no bar or common lounge area, so if you're looking for a place where you can socialize and meet people, this isn't it. But, as a hotel, it's very nice for the price. The guy at the front desk is really friendly. I'd definitely stay here again. Great location. Centrally located with a lot of other hostels, shops, bars, restaurants all around. 15 minutes walk from the night market. 20/30 minuets walk to most tourist attractions. Access to a lot of taxi, Uber scooter and Grab scooter on the street. The staff is awesome. Super friendly and very willing to help. This hostel is right in the heart of the backpacking district and it is very livey at night, but the hostel itself is quiet. Beware there are a lot of stairs to get to the rooms. The breakfast was simple but good. 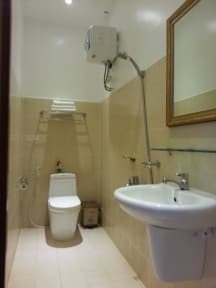 The rooms were cleaned daily and everything was spotless. Would recommend! Great place to stay - good location, walking distance to the hot spots but very quiet for a good night's sleep. Staff were friendly and helpful. Ticks all the boxes of you're not looking for a luxury hotel. Decent hotel for the price you’re paying. However, climbing 5 floors was not great even if I needed the exercise badly! It's a guest house down an alley that's off another alley. It's sketchy to get to, but it's quite safe. But if you're looking for a hostel and socializing, this isn't it. How anyone described this place as quiet I have no idea! Noise from the bars and clubs on the street drowned out the air con and fan in our room, and kept going until the early hours of the next day. Staff were disinterested at best, didn’t tell us about breakfast & were mostly on their phones. We knew there were going to be lots of stairs but there was no offer of help with our luggage up the 62 steps to our room. No atmosphere. Room was damp. Advertise Taxi to airport 250k only 200k on street!